The essential pub guide for discovering the best pubs of England. If you love pubs then this guide is your new Bible. 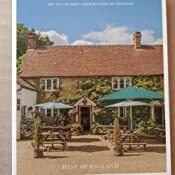 Containing hundreds of hand-picked recommendations throughout England, each of which have been beautifully photographed. Best of England is a curated collection of travel recommendations. Each one is hand picked and has been visited and photographed by a member of the Best of England team. What our books do, unlike any other travel guide out there, is tap into the knowledge the locals, all of our recommendations are sourced from people who live there and know the area best. 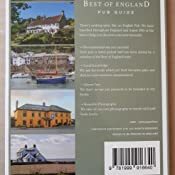 As with rest of 'the best of guides' this is a lovely quality thick A5 size book with beautiful photography and great write ups on some gorgeous looking pubs. Some I know, many yet to explore. I've bought a couple of copies as gifts and of course kept one for myself to check out refreshment stops before exploring anywhere new. 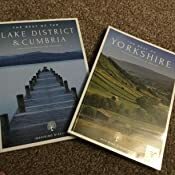 It is divided into regions and does jump around a little between counties but it's a book to enjoy browsing rather than a travel guide so not such a big problem, though a future edition would be great with a location map at the front of each section. He and his fiancée like to travel round on days out and thought this book would be ideal for them. This guide is printed on heavyweight quality paper and is of a very high quality. The photographs bring the pubs to life and I can’t wait to start visiting some of them! The book arrived damaged - torn back cover, folded pages internally. I'd meant to ring and complain but i suspect i have missed my opportunity.Not the gift i intended it to be ! 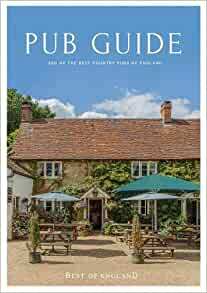 Comprehensive pub guide divided into English regions and with interesting additional "not to miss" and "pub grub" listings. Lovely photography and very inspiring! 2.0 out of 5 starsBeautiful but Flawed. A beautiful, glossy guide but arranged by area ie South East, North West etc. This would be fine if the pubs were then grouped by county within that area but there doesn’t seem to be any rhyme or reason to the arrangement of the listings. You go from a pub in Kent to one in Buckinghamshire, on to one in Sussex, then Surrey, back to Kent - it’s all over the place. Also, it would be more useful to have the area map at the beginning of each chapter rather than tucked somewhere in the book at the end of chapters - this would also help in trying to find a pub in the location you are in. As the guide stands at the moment, you have to work your way through whole ‘area’ chapters noting down pubs that are,firstly, even in your county, and secondly, anywhere near your location. 5.0 out of 5 starsWell written and presented. This is an A5 book reviewing 200 English pubs. They are all independently reviewed and added without inducement from the pub itself, unlike other pub guides this one is truly impartial. There a good clear pictures and concise information. This is of a similar standard to other guides by this publisher. I own the Hampshire and IOW guide which is also full of interesting information.